The pleasures of travelling in wine regions never cease, and there were some stand-out experiences in 2011 that were unexpected, wholly satisfying or simply joyful. Below are a few highlights of our travels last year that have not been covered on this blog elsewhere. With more than a month gone in 2012 already, here is wishing all of you fantastic wine travel experiences during the rest of the year. The best wine tours, whether in a group or on your own need plenty of preparation. Especially in Europe, when in doubt, always make an advanced appointment to visit a wine producer. In the midst of a trip researching wineries suitable to visit by a large group coming to the Loire valley, my sister with whom we were staying near Tours, asked a favour that was wholly impossible to refuse. Would we call into Bernard Baudry in Chinon to collect some wines that a friend had ordered? I’ve known Bernard Baudry’s wines for many years as I used to include one of his Chinons in the tasting selection for teaching the Wine & Spirit Education Trust Diploma class on the Loire. Wines selected for these courses need to be classic examples of their style, appellation and grape and Baudry’s Chinons are exemplary. Baudry also features as one of Jim Budd’s selections of wine producers to visit in our West of Tours guide. Finally, I had the chance to visit the domaine. 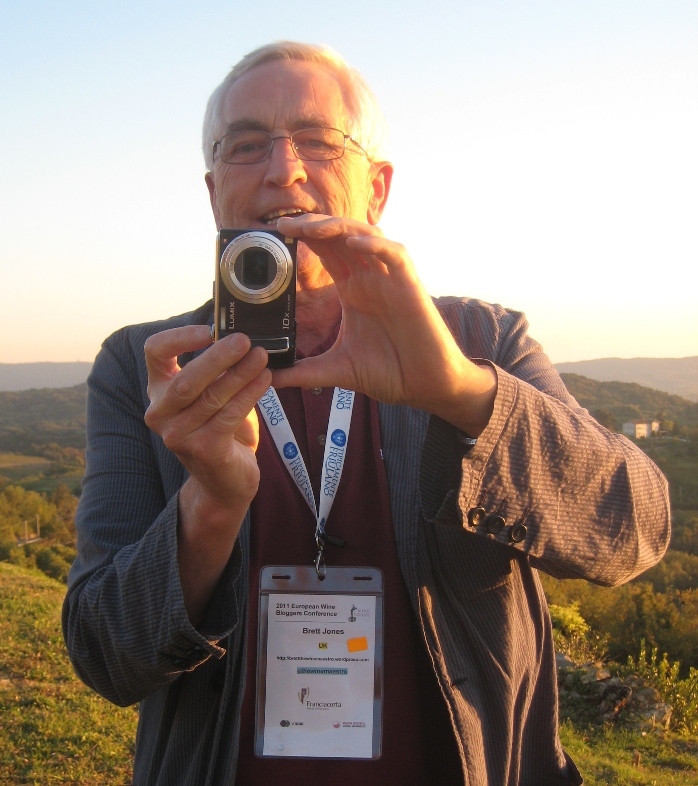 Bernard Baudry in his quiet way, could not have been more welcoming. For us it was the end of a long day, but his enthusiasm and willingness to explain the background to all his wines provided us with a perfect educational tasting. We loved his unusual white Chinon 2009 from Chenin Blanc fermented in various barrel sizes; we adored his Chinon Les Grézeaux 2009, the quintessential Cabernet Franc redolent of pencil shavings and red fruit flavours on the nose with perfect balance on the palate; and then enjoyed experiencing some older wines too including the deliciously deep coloured and flavoursome Chinon Croix Boisées 2008. Bernard speaks little English and usually it is his son Matthieu who takes English visitors through the tasting. Like most wine estates of this appellation, the Baudrys have several vineyards on different soils, and in the tasting room the various soil types are displayed in jars, always helpful! North of Porto, the second city of Portugal is the region of Vinho Verde, with a climate highly influenced by the Atlantic Ocean and known in particular for light white wines, perfect with seafood or as aperitifs. On a press visit there courtesy of the Vinho Verde regional association, I tasted some good and even excellent wines and enjoyed interesting visits. Among the visits, I particularly enjoyed biodynamic producer Afros, who as well as lovely whites, makes fascinating sparkling and red Vinhos Verdes; Reguengo de Melgaço up on the Spanish border with delicious fuller-bodied wines from the Alvarinho grape and a small country hotel on-site; and the high tech and welcoming winery Quinta da Gomariz, with a range of very enjoyable and accessible wines. However, none of these three producers could be said to be geared up for independent wine tourists, only usually receiving groups of wine lovers or professionals by advanced arrangement. However, we also visited Aveleda, producers of the brand Casal Garcia, as well as of several quality estate Vinhos Verdes from their Quinta da Aveleda vineyards, especially one named Follies from 50% Louriero and 50% Alvarinho. 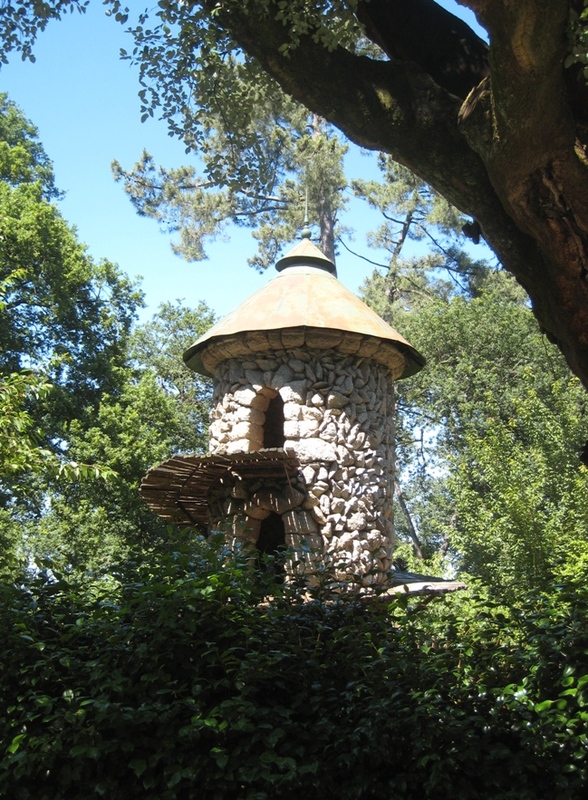 Follies is named for the several architectural follies the Quinta possesses in its beautiful gardens, which won a Best of Wine Tourism Award in 2011. Less than an hour’s drive from Porto, Aveleda has a good shop selling the company’s wines along with some local foods, open every weekday. They receive 12,000 visitors per annum and many come as part of a group for whom they can arrange tutored tastings and meals. Best of all, groups can visit the stunning and peaceful gardens, full of old trees as well as fountains and follies. One of the follies is a goat tower, and they say that Charles Back, owner of Fairview got the idea from here to build Fairview’s famous goat tower. On the evening before my trip to Vinho Verde, I arranged to meet Oscar Quevedo, of the family-owned Port producer Quevedo. Oscar is an avid blogger (his blog was nominated for the best winery blog in 2010) and he joined the family company after a spell working in finance. Oscar uses social media most successfully to share the story of his family winery around the world, however, I had never tasted his range of Ports. 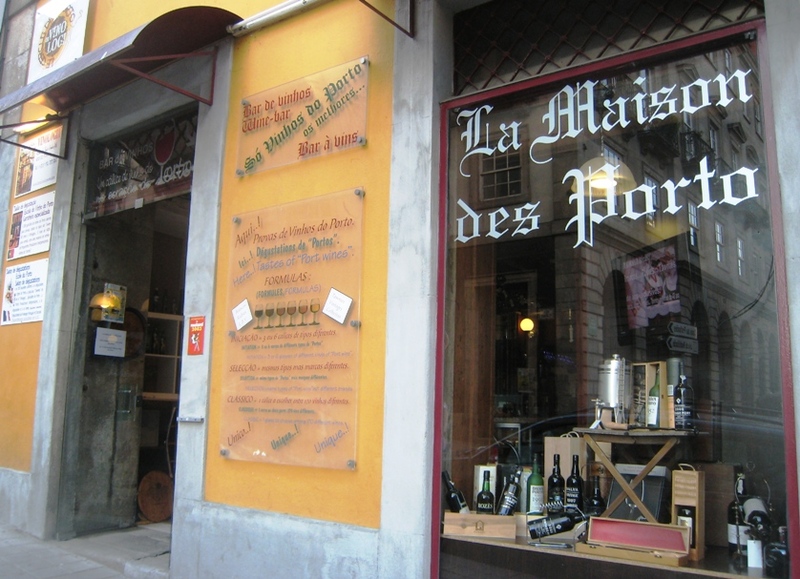 With a couple of wine educators and writers, all part of the Vinho Verde trip, Oscar suggested we met in a special port wine bar in Porto named Vinologia ‘La Maison des Portos’ owned by Frenchman, Jean-Philippe Duhard. Vinologia only sells Ports, but it has a huge selection, with over 200 available by the glass. Plates of cheese, dried fruits and nuts, or luscious chocolate desserts are available to accompany your Port selection. A fluent English speaker Jean-Philippe can even tutor a tasting for groups. It’s a wonderful little place. Oscar Quevedo served us five Ports to taste starting from the white, through a gorgeous, nutty Special Reserve Tawny, a vibrant and lively Colheita 1992, Reserve ruby and finally the youthful but excellent Quinta Vale d’Agodinho Vintage 2008. My three colleagues were more experienced than me in tasting Ports, and were really impressed with the quality from Quevedo. It is rare to find small family wineries in the Port region as five of the 70 Port Houses control 83% of production in the region. My thanks and Saύde for their welcome and generosity to Oscar and Jean-Philippe. After the European Wine Bloggers Conference 2011, held in Brescia, Italy, we were able to attend a three day press trip to the north-eastern wine region of Friuli-Venezia-Giulia. I had been to Collio in Friuli before and a little beyond, but one completely new region to me was the Carso DOC on the Istrian peninsula south of Trieste, bordering Slovenia. We spent a morning and lunch visiting three small wine producers all located in the hamlet of Prepotto, near Duino Aurisina. I had never heard of the village, knew little about Carso, and then we discovered a grape variety that I’d never heard of either, Vitovska, that produces some fresh-tasting, stoney whites. The pleasure of walking from one producer to the next in this tiny place, learning about how they had revived the region, dug out the amazing cellars, and are now making highly unusual, but delicious wines, to me epitomized the excitement of wine travel even for a seasoned wine traveller like me. The wines of producers Skerk, Kante and Zidarich are exported a little and well worth trying. I am also sure they would welcome you to visit this extraordinary place if you are planning a trip to Trieste or Friuli. All our group were smitten by the Carso region, and among others two wine blogger colleagues have written comprehensive, excellent blog posts about our visit, Rock the Carso by Simon Wolf and Wine Kings of the Carso by Paola Tich. My thanks to Pierpaolo Penco and the Friuli Venezia Giulia wine region for making this visit possible and hosting us. If you are planning a wine tour in France, Rioja or Tuscany in 2012, remember to check out our travel guides, and note that you can access all the latest versions of the PDF guides by buying annual membership. You can still use the promotional code D2BLG1111 for a 30% discount until 29th February 2012. Happy wine travels! P.S. For the most unusual wine production ‘equipment’ I saw in 2011, watch this little video. This waterfall ‘dynamizes’ the water used for biodynamic preparations by Vinho Verde producer Afros.